You really couldn’t grow up in the eighties or nineties without having come across Disney’s hit animated series DuckTales. You sang along with the opening song, you wished you could dive into a large money pit — only to realize that something like that would really hurt when you got older — and dreamed of going on all sorts of adventures that took you into space, back in time, or to the deepest of oceans. In fact, we can still relive those moments via WATCH Disney Channel, an app that allows consumers to watch on tablet, phones, computer, and set top boxes. Now comes word that Scrooge, and his grandnephews Huey, Dewey, and Louie, as well as Donald Duck, Gyro Gearloose, Launchpad McQuack, will all be re-appearing in a newly announced reboot of the series which will appear on Disney XD. Hit the jump for more. The press release confirms the appearance of the aforementioned characters, as well as Flintheart Glomgold, Magica DeSpell & Poe, Ma Beagle and the Beagle Boys (Burger Beagle, Bouncer Beagle), Mrs. Beakley, and Webbigail Vanderquack — where’s Gizmoduck? 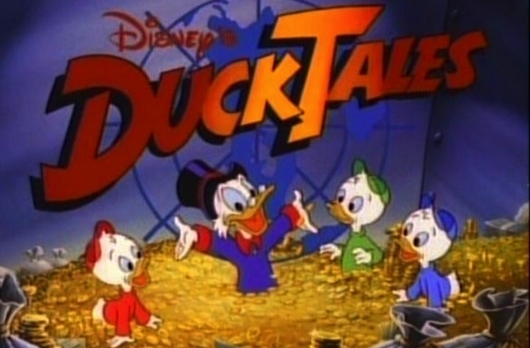 I’m not entirely sure the series needs a reboot, so I am skeptical of what we will see from the new DuckTales. While almost all of the classic characters are set to appear in the reboot, we don’t know what sort of animation style Disney will be using for it. Hopefully they don’t reboot the song. The new DuckTales will launch in 2017.